That long title you just read is the best part of this account. Trust me on this. 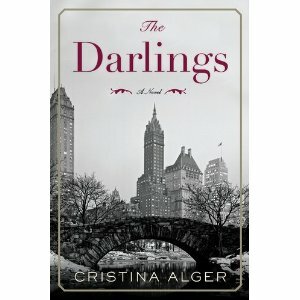 You should only read this book if you love sleazy things. In fact, you should only read it if you’d jump into a 400 gallon vat of sleaze, if such a thing existed. Sigh. Vulnerable to the spells and charms of John Edwards? Yes, that’s how tacky this true tale is. The author is John Edwards’ well-educated aide (we know he’s well educated because he tells us so several times throughout the account), who assisted him at almost every step of his public and private deceptions. This Andrew Young – a law school graduate and not the civil rights leader – told the media that he was the father of the child that Edwards had with his mistress. Young then suffered mightily having to live with Edwards’ mistress in a $20,000 per month rental mega-mansion in Montecito – which is the Ritziest part of Santa Barbara County. Sad, isn’t it? Such virtually unimaginable suffering. And how did Edwards acquire the funds to support the mistress and Young and his family? By telling heiress Bunny Mellon that they were using her millions to fund a poverty center based at the University of North Carolina. See what I mean about the sleaze? What we do know is that the author told lies on his master’s behalf for months and years, and in order to believe the truthfulness of this account, you would have to believe that he’s telling “the truth and nothing but the truth” now. Uh, huh. Right. Nobody comes off well in this account, not Young, not Edwards – which is hardly a surprise – and certainly not Elizabeth Edwards. In fact, Young’s primary agenda here seems to be trashing her reputation. Elizabeth is portrayed not as a spurned and loyal woman who was admired by millions of Americans, stricken by disease, but as a… Well, I don’t need to say it. I did appreciate one matter substantiated by Young, that Mr. Edwards sought to pattern himself after Robert Kennedy, but his act always seemed – to me – like a very bad actor’s version of RFK (left hand in jacket pocket, right hand stroking the air, combing his hair or fixing his tie). At one point, Edwards goes on a retreat and Young notices that every one of the books that our once self-anointed president-in-training took with him was either written by Robert Kennedy or was about RFK. But then Young gets some very basic things wrong. For example, at one point someone refers to Edwards as the Robert Redford of politics, and Young writes that the reference was to Redford as The Natural. Not at all, the reference was to Redford in the film The Candidate, about the photogenic candidate who gets elected to the U. S. Senate and then asks the question of his staff, “What do we do now?” The comment was likely meant to depict Edwards as an empty suit. As the son of a preacher man, Young never gets around to identifying the message in this sad morality play. And it’s a play that has not finished its run yet (Is Edwards going to marry his mistress and the mother of his baby? Will he be charged with crimes?). But let’s be clear about this… This account by Andrew Young is not in any way equivalent to John Dean’s Blind Faith. Young is no hero. John Dean helped to rid the country of a cancer on the presidency. 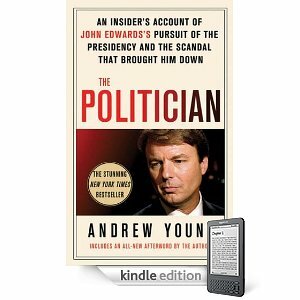 Young did his best, his very best, to put John Edwards in the White House. Review by Joseph Arellano. This book was purchased by the reviewer, unfortunately. 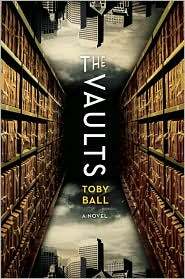 Toby Ball’s debut novel,The Vaults (St. Martin’s Press) is a fine first work. Fans of crime novels and/or the suspense/thriller genre will find this an enjoyable read. Ball is true to the convention of short chapters and brief vignettes and anecdotes that keep the reader turning to the next page. 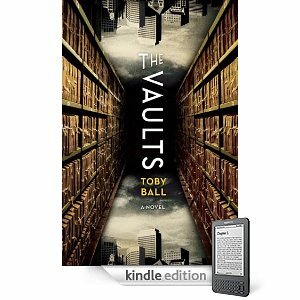 The Vaults are essentially a record (literally a criminal record) of one city’s depravity, and when the sole archivist, Arthur Puskis, notices that something is amiss with his detailed system of categorizing the files, the reader is led along a trail of corruption that reaches to the highest level, mayor Red Henry’s office. 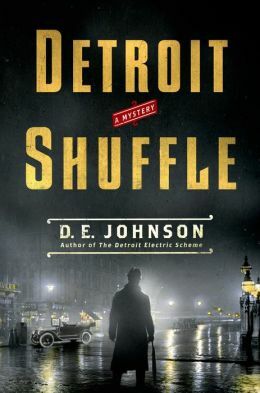 Set in the 1930’s, the story involves tales of big labor, organized crime, political corruption, and journalistic heroes, somewhat reminiscent of a Doctorow novel. The story is best when it does what it purports to do: tell an action tale. The plot is carefully constructed, and the pace is fast. This reviewer’s primary criticism is that it became difficult to truly care about where the story was headed because it was difficult to actually care about the characters themselves. In the first half of the book, character after character is introduced with little development and few clues as to what makes them tick or motivates their behavior. The character one is inclined to be most attracted to at the outset, Puskis, essentially disappears for a good portion of the first half of the book, only to reappear more prominently toward the end to help tie the story together. Frings, the reporter, who is the closest thing to a hero this book offers, is a rather shallow fellow and not overly likeable. In the end, Poole, the Private Investigator whose travails run parallel to Frings’ throughout the book, probably comes across as the person with the most conviction and integrity in the story. There are a few moments where there’s an attempt at social commentary, such as when Puskis contemplates whether the improved technology introduced to the Vaults will take away a layer of humanity from the information people receive or when Puskis and Van Vossen, who has set out to write a book about the tales hidden away, contemplate the significance of the collective humanity contained in the Vaults and come to the realization that order cannot be imposed on the natural universe by man. Generally speaking, though, there is little of this. That type of thought and discourse is not really the point of this novel. Overall, the writing is strong and unforced. The reader has to occasionally suspend belief to allow for some of the events to connect, but that is why they call it fiction. This book is recommended. Toby Ball’s debut novel starts off with the feel of John Verdon’s excellent debut, Think of a Number. That’s the good news. The bad is that Ball’s story is far more complicated, involving more protagonists and characters – perhaps too many. “The City,” unidentified in The Vaults, may be a windy Chicago or a mean Philadelphia or an old Los Angeles (“The purple light above The City… And those searchlights beaming from the top of City Hall…”), but it sometimes felt as if Ball was attempting to populate the novel with every one of its inhabitants. There are three male protagonists, each of whom happens to be accompanied by a female or male partner or colleague, and there are several political, labor and law enforcement officials who have notable roles. Oh, and I have yet to mention the criminals – guys with names like Blood Whiskers and Otto Samuelson – who become key players. This reader knows that a story has become complex when he needs to take out the old legal note pad to chart the characters. Set several decades in the past, The Vaults begins with a criminal records archivist named Puskis, who comes to fear that someone is tampering with the files under his control. Some of the conviction records contain the notation “PN,” which stands for something unknown to Puskis. This is where we begin to suspect that corruption is going on in The City run by the power-hungry mayor Red Henry. With all of these figures on-stage and off, I began thinking of Robert Altman’s film Nashville, which had a cast of myriad characters. As with Nashville, you know here that the characters are going to come together at the story’s resolution. This is not a surprise and, at about four-fifths of the way through the novel, the reader can see the ending that’s in sight. 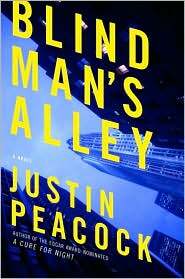 The ending was logical, predictable and preordained; not the type of conclusion one would expect in a mystery. With some mysteries the end is opaque until the final pages, which is perhaps as it should be. For example, with the sci-fi mystery novel Everything Matters! the author needed not one but two endings to come to a conclusion. Even then, some found the conclusion discomforting. I loved Everything Matters! specifically because I didn’t see either ending coming, the fake one or the reprise that constituted the true ending. Reaching the end of this review, we must come to a conclusion. We’re rating this novel as Recommended – but with a caution. Those who like big cinematic stories with a mega-cast of characters are going to be carried away by The Vaults and they’ll enjoy the time they spend in The City. But those who like smaller stories – micro rather than mega, human scale rather than I-MAX – would be advised to instead pick up a calm and concentrated family novel. Take Away: This novel starts off in third gear before moving quickly into fourth and skirting with overdrive. However, the excitement and originality of the first half of the book was lacking in the second – the latter part seemed to lag in second and first gear. Overall, more pluses than minuses.